Domestic Sluttery: Now With Wings! If you were a pre-pubescent girl in the early 1990s, Claire Rayner's ad for fancy new sanitary towels (tagline: "now with wings!") would only have confused you as to what you'd have to put in your pants when you Became A Woman. Terrifying. They made you think you'd be stuffing a sparrow down there. Now I'm over that, and over a brief obsession with buying fairy wings from Camden Market, I can embrace wings as a marvellous accessory. I've been careful not to teeter too far into angels and whimsy, and used them as a sparing accessory to brighten up autumn and winter. We're big fans of Melissa shoes. Being made of recycled rubber means they don't only score lots of ecological points, they also smell of bubblegum. 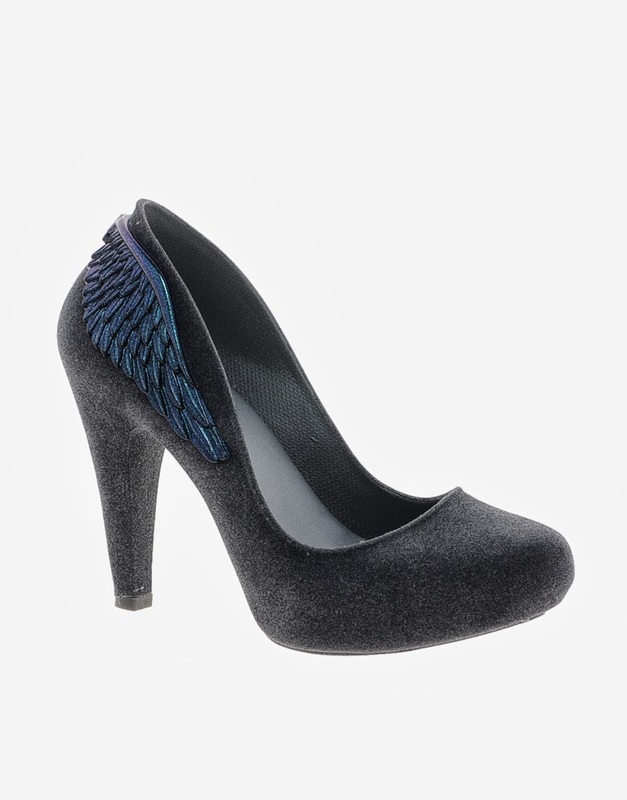 They come in different colourways, all priced at £90, but my favourites are the grey shoes with iridescent blue wings from Asos. You can find more colours on Nonnon. These butterfly wing earrings are made from real butterflies - but wait, before you call PETA, they're made by a butterfly breeder who collects the wings when the butterfly naturally dies, and encases them in resin. 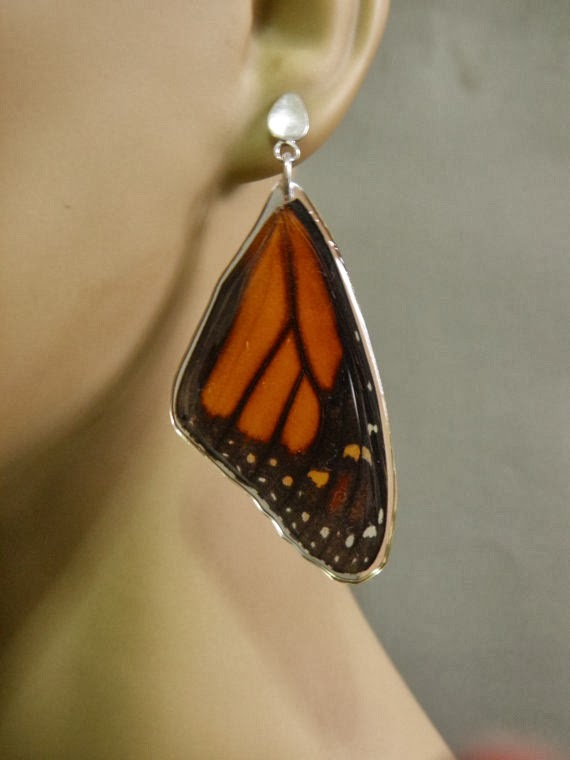 These are made from Monarch butterflies, but explore BioArteNatureJewelry's Etsy shop to find different types. They're £15.87 plus £3.43 postage, and buying them means you're supporting a butterfly sanctuary in El Salvador. Prefer something less... real? 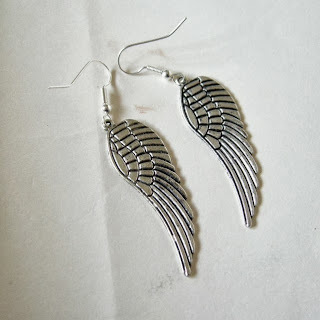 These classic silver angel wing earrings are just £10 from Mia Scintilla on Folksy. We know you love an animal scarf after you raced to buy Lisa Angel's range last week. 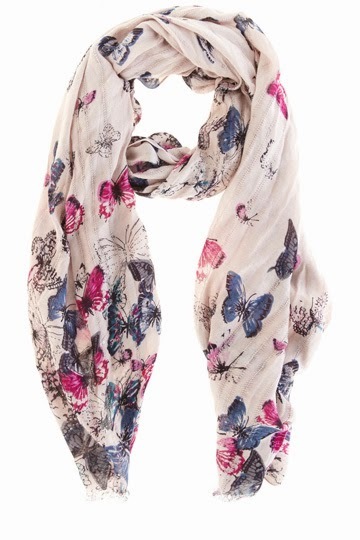 This pretty butterfly scarf from Oasis has a delicate print, slightly frayed edges, and will set you back £20. 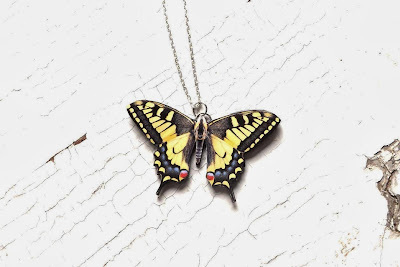 Yet more butterflies - this time, a yellow swallowtail necklace from SpringSky on Etsy, made from black polymer clay and finished with resins. This little chap is £13.96.